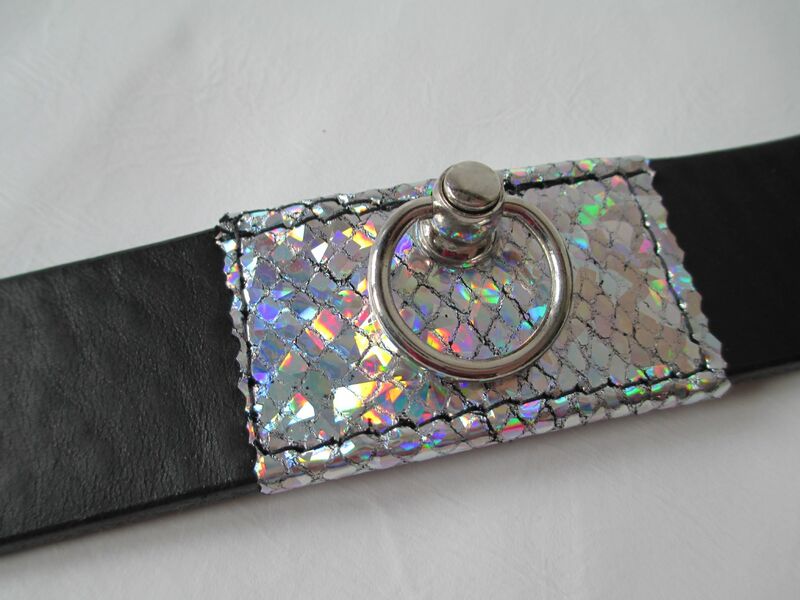 Black leather two inch wide collar with Holographic Unicorn coloured Metallic leather Front with swivel ring. 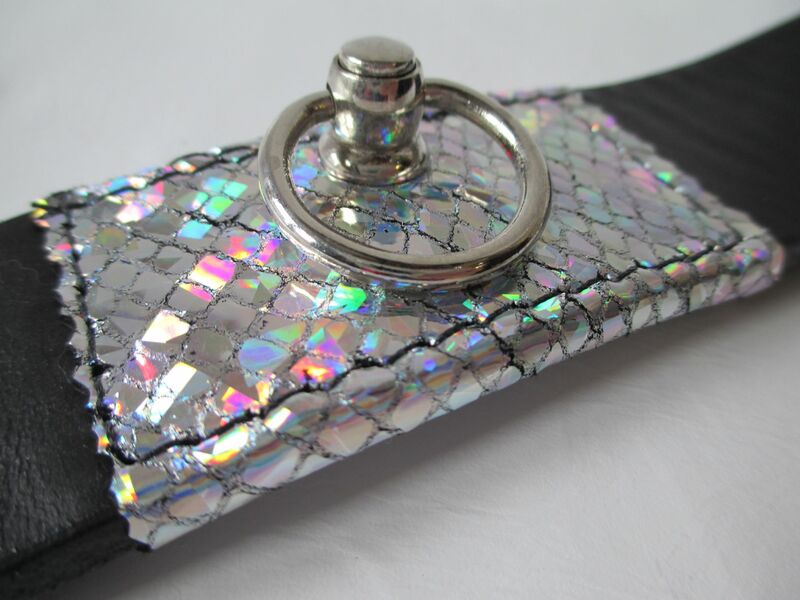 Grade A best quality genuine Leather two inch wide collar, with lazer printed holographic coloured leather front design and swivel drop front ring. 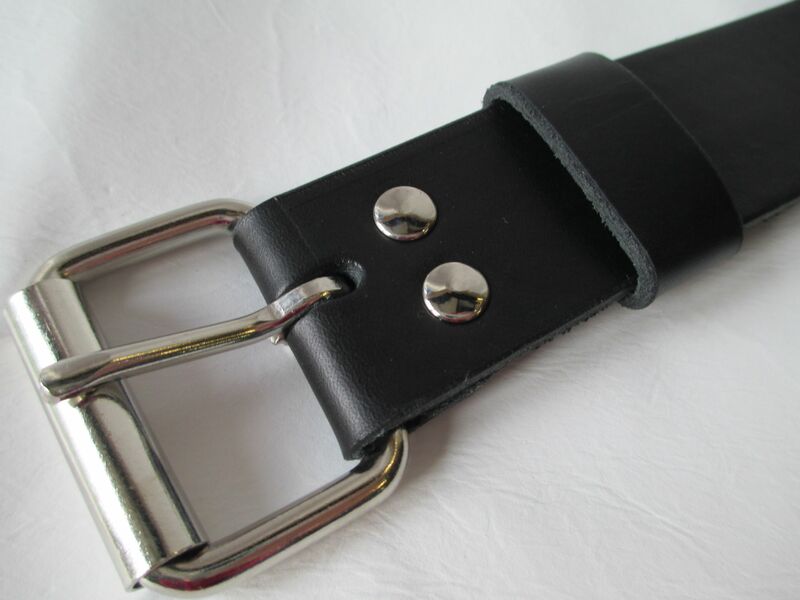 Black strap is Artisan hand cut, bevelled and burnished, then stitched genuine leather metallic (your choice colour) with center one inch swivel drop ring (screw backed), and heavy duty single roller buckle with black leather keeper. Holographic Metallic leather is made from calf leather and stitched in place at the front with high breaking strength thread. 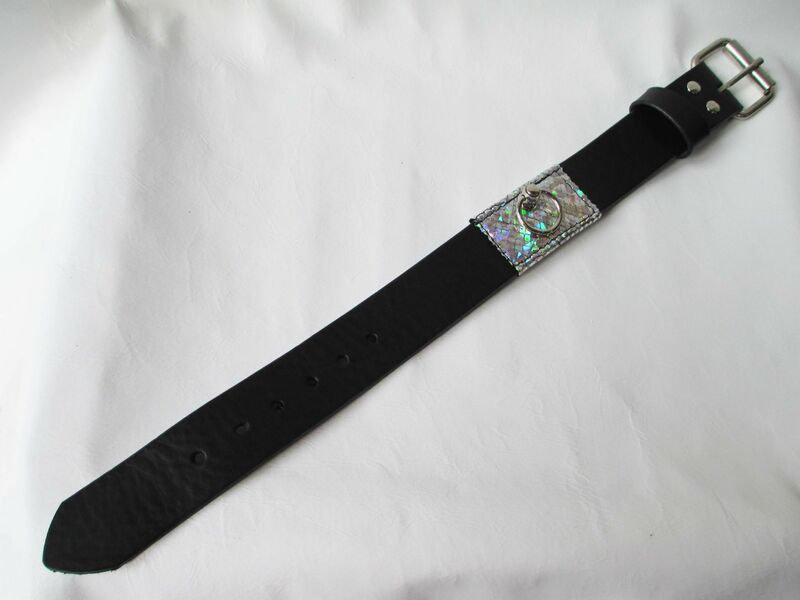 This is an ideal collar for light play sessions, clubbing, events etc. 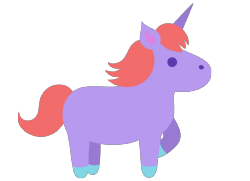 We do not accept returns on Custom Made, Bespoke, Clearance/Sale or Impact or Intimate items like Gags, Strapons, Dildos, Pacifiers etc.